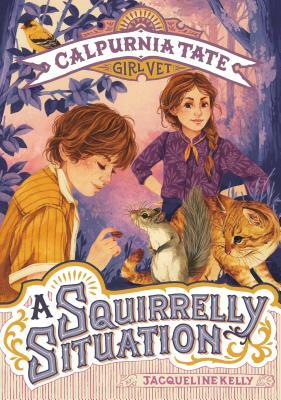 Featuring the charming characters from the Newbery Honor Book The Evolution of Calpurnia Tate, this exciting chapter book series introduces young readers to Callie Vee and the rough-and-tumble world of turn-of-the-century Texas. When Travis finds an abandoned baby squirrel, he brings him home and names him Fluffy. But Mother isn’t so sure that Fluffy is such a great family pet—and neither is Thud, the cat. Will Fluffy be able to steer clear of these two and find a home in the Tate household?